Hey Kids! 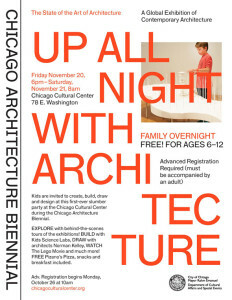 There is a sleep over at the Chicago Cultural Center for kids who are interested in architecture and YOU are invited! 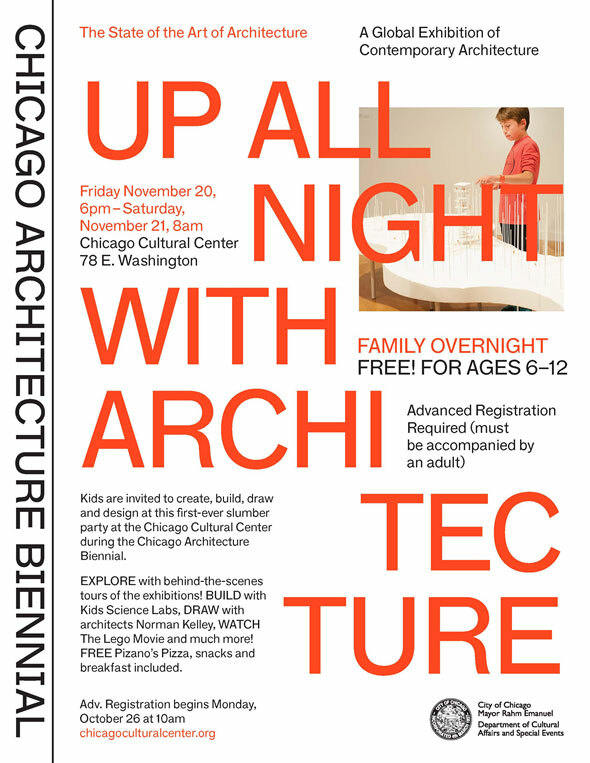 Friday, November 20, at 6pm through Saturday, November 21 at 8am in downtown Chicago. What could be better? Create, build, and design at the best slumber party ever!